Looking "where to sell my 1968-1971 BMW 2800cs?" Ask the Chicago Car Club! Are you wondering "where to sell my 1968-1971 BMW 2800cs ?" The Chicago Car Club is interested in classic cars of all makes and models, especially a 1968-1971 BMW 2800cs. We make the process of selling your 1968-1971 BMW 2800cs quick and painless. In just a matter of hours we will have your classic valued and, if you do so choose, turned into money in your pocket. All it takes is a phone call or electronic inquiry to get the ball rolling. 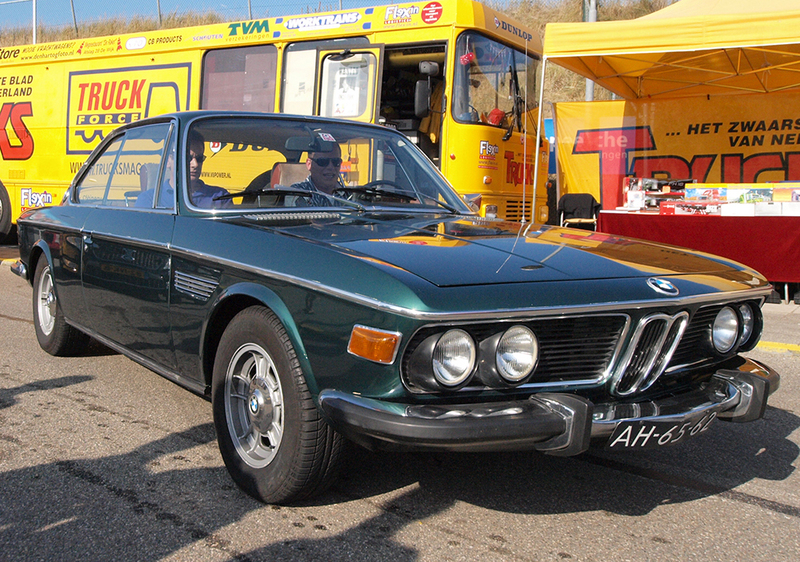 The 2800cs was a two-door coupe offered by BMW during the late ‘60s and early ‘70s. Previously, BMW had offered high end cars and very inexpensive cars for consumers, while seemingly lacking a mid-range priced car for the middle class buyers. Their answer was the 2800cs. The 2000sc coupe was modified to hold the BMW M30 engine, which was used in their E3 sedan which was part of their racing program. The 2800cs was a rear wheel drive car with a choice of a 4-speed manual or 3-speed ZF automatic transmission. Its gasoline engine featured dual carburetors and produced 170 hp at 6000 rpm. Its top speed was 123 mph and it had a 0-100 kph or 62 mph speed in 10 seconds. This sporty coupe had a c-pillar design and an elongated front end, which was made to resemble the E3, that became an iconic feature of BMW sports sedans for many years to come. The 2800cs had a list price of $10,000, which put it in line with other luxury car makers’ offerings, such as the Mercedes-Benz’s 1968 280SE six-cylinder coupe that cost upwards of $9,100. Top quality examples of this car are still affordable for the average consumer, but prices are rising quickly.